So, beets… are you in or out? If you’re in, then you have my permission to skip to the asterisk. Beet hater? Tsk, tsk, tsk…that’s soooo yesterday. Haven’t you heard? Beets are the new carrot, the bees knees, the whole ball of wax and the top banana. 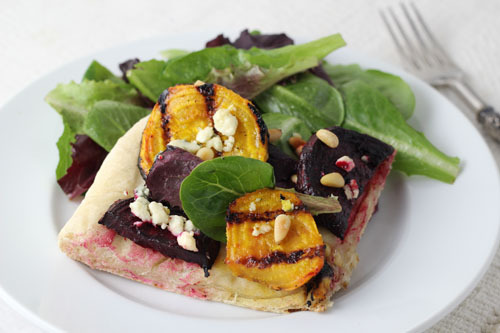 Categories: Pizza | Tags: beet salad, grilled beet pizza, grilled pizza, roasted beets, steamed beets | Permalink. This Hoisin bathed pork topped pizza was my dream pizza this week. With sliced pears and apples, chopped green onions and dots of aged Gorgonzola, this pizza made me feel like quite the gourmet as I proudly rubbed my knuckles on my imaginary chef’s whites and obnoxiously touted my own horn. Yes, one of my kids may have asked what the pungent odor was, and no one but me and the dog had any desire to chow it down, but I really didn’t care one little bit. Please excuse bad photo. Photographer has no understanding of lighting at night. 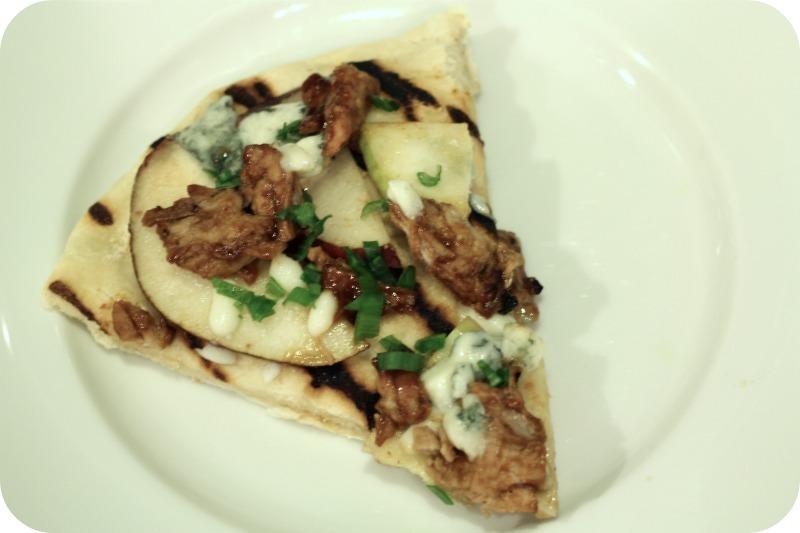 Categories: Pizza | Tags: apple and pear pizza, grilled pizza, hoisin pizza, leftover pork | Permalink. 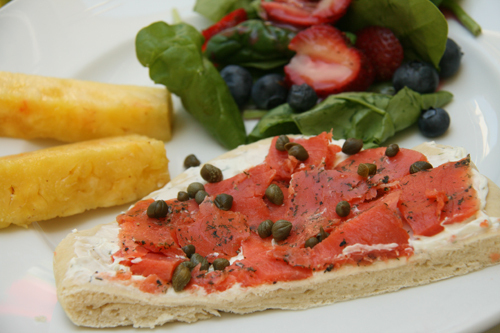 Categories: Pizza | Tags: cold pizza, salmon pizza, Wolfgang Puck smoked salmon pizza | Permalink. 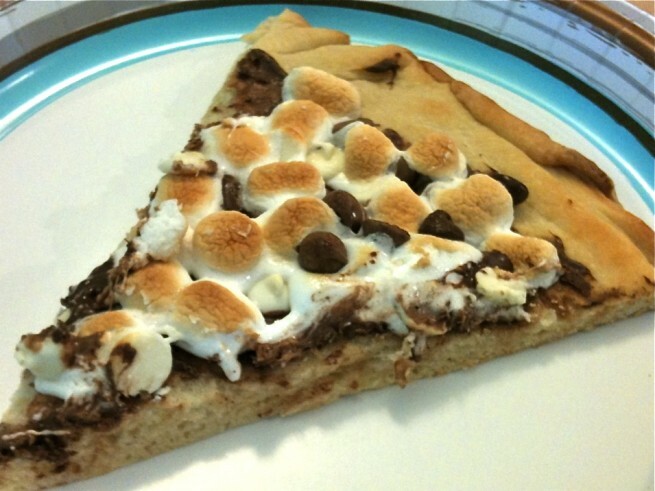 Categories: Chocolate, Other Desserts, Pizza | Tags: bad boy chocolate pizza recipe, chocolate, dessert, Max Brenner Chocolate Pizza Recipe; chocolate pizza, pizza | Permalink.